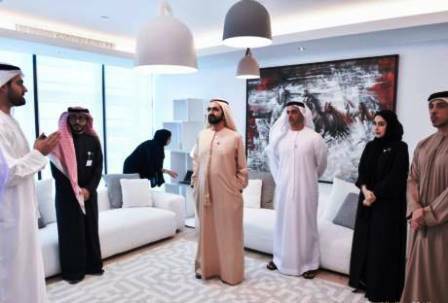 Abu Dhabi: A corporate social responsibility fund will be established in the UAE to promote the culture of social responsibility and implement community related projects and initiatives, it was announced on Monday. The fund will be set up as per Cabinet decision No. 2 for 2018 on corporate social responsibility (CSR), issued by His Highness Shaikh Mohammad Bin Rashid Al Maktoum, Vice-President and Prime Minister of the UAE and Ruler of Dubai. The fund aims to set regulatory framework for social responsibility practices, define roles and responsibilities of relevant authorities to regulate and stimulate social responsibility at companies and corporates. The fund, a federal administrative body affiliated to the Ministry of Economy, will set up a smart social responsibility platform that regulates and lists companies, beneficiaries and enterprises. “Social responsibility should be based on a purely voluntary basis practiced by companies and establishments out of their own belief and desire in contribution to the development of society through voluntary contribution to projects listed on the smart platformme,” the resolution said. CSR practices involve contribution to community development in economic, social and environmental spheres through cash and physical contributions and adopting environmentally friendly policies at work. CSR practices also include enhancing spirit of innovation and scientific research and contributing to finding solutions to problems and challenges facing society. The CSR fund will annually announce the results, which will serve as a national index based on the percentage of contribution in projects and programmes. The fund will have a board of trustees chaired by a minister who will issue a decision on the setting up of the board, the number of its members and tenure.